Whether you want to book an appointment with a dentist, a hair dresser, rent out a room or you simply want to run a transport service, the booking options will vary from business to business. Calendarista™ can mix and match from a multitude of options to fit your individual requirements! Payments enabled through PayPal, Stripe and 2checkout, pay locally on arrival or free bookings. Customize any piece of string displayed to customer. Customize the data capture fields in a way that suits your business. Email notifications so that the customer knows their booking is secure instantaneously. Unlimited Categorized extras to add elements that carry extra cost and can be in limited quantity. Define departure and destination dropdown fields with predefined locations and cost. Calculate price by travel distance. Bookings with a single start date. 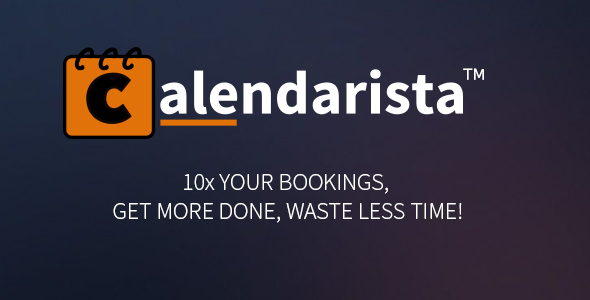 Bookings with both a start date and start time (optionally enable selecting multiple time slots). Bookings with both a start date and start time with padding. Bookings with a start date and time range. Booking a date and time range. Booking a date range with partial day charge (Half day booking). Bookings a round trip (with time). Booking one or more packages. Charge only an upfront deposit(percentage or fixed fee). Pay reminder upon arrival..
Booking can have an obligatory minimum and maximum days selection. Restrict from booking too soon or too late in the future with min/max notice. Choose your check-in and check-out days of the week. Multiple services can be grouped in a dropdown list. A single service can have one or more availabilities. Multiple availables will be listed in a dropdown list. Each availability can include an image. An availability can contain an area displayed on a map in the front-end. Calendar legend, set custom colors for available days, unavailable days and selected days. Style by choosing from a predefined color list to allow a more natural integration with your website. Emails send out by plugin include: New booking received, Booking received successfully, Booking confirmation, Booking cancelled, Booking reminder, Booking payment received, Discount coupon awarded, Payment required and Booking has changed. An availability can contain an area on map displayed in the front-end. Easily add staff members to existing availabilities. View sales, request payment or confirm payment. View appointments in your back-end calendar. Edit appointments, cancel appointment or confirm appointment. Set up holidays and take time off, where you can make any date or time slot unavailable for booking. Import and export iCAL feeds, making your business always up to date and avoid overbooking. Departure and destination input fields with google maps autocomplete support. Booking with both departure and destination input fields. Booking with single departure input field only. Booking with both departure and destination dropdown fields. Booking with single departure dropdown field. Set waypoints between departure and destination. Enable direction on a live google map within your site (no redirect). Enable options such as avoid highway, avoid tolls and show traffic. Select departure and destination directly on google map using right click context menu. What are you waiting for? Make someday, today! Buy this plug-in before your competition does. Take your booking to the next level. Become the forward-thinking entrepreneur and let the gain$ begin!